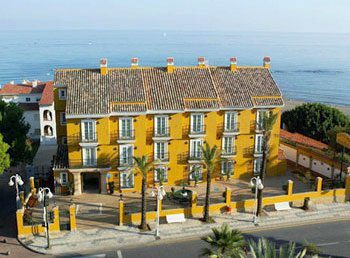 The Aleysa Beach Hotel will be the second five star hotel in Benalmadena on the Costa del Sol, albeit with a very different concept to the Hotel Torrequebrada, since it will reopen its doors as a boutique hotel. Boutique hotels are a growing trend for small establishments that commit to excellence with a careful decoration, personalized service and attention to the smallest detail, to which in this case we must add its location on the beach. Benalmadena is situated only 16 km from Malaga airport. With the reform of the original Andalusian style building and the construction of an annexe, the Aleysa hotel give a qualitative leap that will be evident from next spring, when it is due to be released after an investment of around seven million Euros. The building will have 37 suites and as well adding new services like a 500 square meters Spa (vitality pool, sauna, ice fountains, Turkish bath and massage room, relaxation area and gym) a panoramic terrace, swimming pool and outdoor Jacuzzi. Furthermore the Aleysa will have an English bar and a restaurant with a huge glass roof that allows you to enjoy sea views and which, offering international cuisine with a Mediterranean flair, is open to the public, regardless of whether they are staying at the hotel. It also improves in comfort, as it will have underground parking and direct access to the promenade. This new five star hotel is designed as a place to unwind and relax, no noise, no clubs and even more flexible hours for services. The intention is that the complex is open all year for what are set three different rates: low, medium and high season. Prices are not yet closed, although they will include breakfast a la carte, parking and ‘spa’ circuit. In terms of decor, has been given way to a more modern and elegant design. All rooms are equipped with whirlpool tub and shower, as well as soundproof windows.